Experts who spoke to the Times and the Washington Post, and one who weighed in on Twitter, called the guidance an overreach and potential First-Amendment violation. 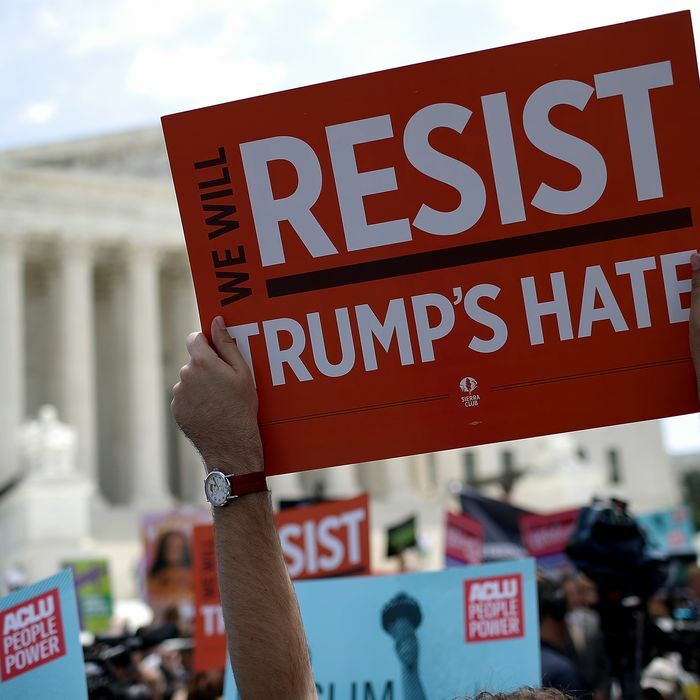 “People who use the term ‘resist’ could be expressing views about any number of matters, and the presumption that they are specifically advocating for the defeat of a candidate in 2020 strikes me as crazy and raises significant First Amendment concerns,” Daniel Jacobson, who worked on Hatch Act issues under President Obama, told the Times. On Twitter, former Justice Department lawyer Sasha Samberg-Champion was also critical of the new guidance. Ana Galindo-Marrone, an OSC official since 2000 who came up with the new guidance, defended it to the Times. “She argued that the guidance fit within the office’s past interpretations,” the paper reports. The prohibition of discussing Trump’s impeachment is new, she added, because no president since the passage of the Hatch Act in 1939 has dealt with impeachment concerns when he was eligible for reelection. The good news for federal employees worried about this rule is that the Trump administration has been willing to ignore Hatch Act violations in the past. Earlier this year the OSC found that Kellyanne Conway had violated it twice in 2017 by inappropriately advocating for U.S. Senate candidate Roy Moore, who was accused of sexually assaulting underage girls. It recommended “appropriate disciplinary action” from the White House, which responded by defending Conway.